Barnsley moved up to 11th in League One with a thrilling victory over Colchester United at Oakwell. San Winnall's low shot from a tight angle put Barnsley ahead, before Sanchez Watt scrambled in an equaliser. The hosts scored their second as Conor Hourihane netted from the spot after Sean Clohessy fouled Devante Cole. Hourihane then turned provider for Peter Ramage to head past Sam Walker, with Freddie Sears' finish from inside the box proving to be a consolation. Sears had the first chance of the game within two minutes, but scuffed his shot wide after being set up by Gavin Massey. Winnall's ninth goal of the season and eighth in as many matches put the home side ahead, before Watt ensured the teams were level at the 15-minute mark. Ramage's header was disallowed for offside to deny the hosts the lead again, while Sears forced a good save from Ross Turnbull in the Barnsley goal. Martin Cranie's through ball sent Winnall clear but his shot sailed over the bar and the teams went in level at half-time. After falling behind to Hourihane's penalty, the visitors went close through Alex Gilbey and Sears within three minutes of each other. Ramage's goal was quickly replied to by a 12th of the season for Sears and, despite late pressure, Colchester could not find a third equaliser. Match ends, Barnsley 3, Colchester United 2. Second Half ends, Barnsley 3, Colchester United 2. Attempt saved. Kemar Roofe (Colchester United) header from the centre of the box is saved in the centre of the goal. Substitution, Barnsley. James Bree replaces Sam Winnall. Attempt saved. Dale Jennings (Barnsley) right footed shot from outside the box is saved in the top centre of the goal. Attempt saved. Freddie Sears (Colchester United) right footed shot from outside the box is saved in the top centre of the goal. Foul by Devante Cole (Barnsley). Alex Gilbey (Colchester United) wins a free kick in the attacking half. Joe Dudgeon (Barnsley) wins a free kick on the right wing. Sean Clohessy (Colchester United) wins a free kick in the attacking half. Substitution, Colchester United. Sammie Szmodics replaces David Fox. Substitution, Barnsley. Dale Jennings replaces Kane Hemmings. Foul by James Bailey (Barnsley). Substitution, Colchester United. Kemar Roofe replaces Sanchez Watt. Lewin Nyatanga (Barnsley) wins a free kick in the defensive half. Peter Ramage (Barnsley) wins a free kick on the left wing. Goal! Barnsley 3, Colchester United 2. Freddie Sears (Colchester United) right footed shot from the right side of the box to the top right corner. Assisted by Rhys Healey. Substitution, Colchester United. Rhys Healey replaces Gavin Massey. Goal! Barnsley 3, Colchester United 1. Peter Ramage (Barnsley) header from the centre of the box to the bottom left corner. Assisted by Conor Hourihane with a cross. Corner, Barnsley. Conceded by Sean Clohessy. Attempt missed. George Moncur (Colchester United) left footed shot from outside the box is too high. Corner, Colchester United. Conceded by Ross Turnbull. Attempt saved. Freddie Sears (Colchester United) left footed shot from a difficult angle on the left is saved in the bottom left corner. Foul by Elliott Hewitt (Colchester United). Attempt missed. Freddie Sears (Colchester United) left footed shot from outside the box misses to the left. Attempt saved. George Moncur (Colchester United) right footed shot from outside the box is saved in the bottom left corner. Foul by Joe Dudgeon (Barnsley). Goal! Barnsley 2, Colchester United 1. 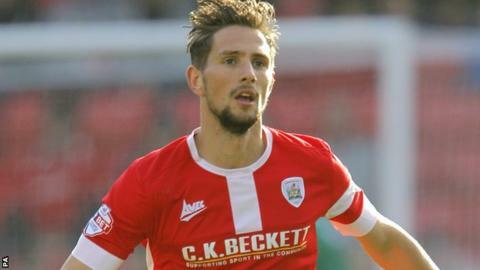 Conor Hourihane (Barnsley) converts the penalty with a right footed shot to the bottom left corner. Penalty Barnsley. Devante Cole draws a foul in the penalty area. Penalty conceded by Sean Clohessy (Colchester United) after a foul in the penalty area.